Happy St. Gregory day, in Armenian tradition on this day (or basically any other st. day) anyone named Gregory celebrates the day as their "Name Day". My uncle is called Gragory (krikor in armenian), so there's a whole family gathering thing for this day. I'm at their house now, with a tummy ache -had a bad lunch, note to self no salmon outside the house again. I'm slightly grumpy and sleepy because of the pain, but apart from that it's all good in the neighborhood. 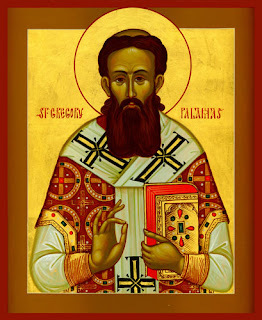 So Happy St. Gregory Day yall.